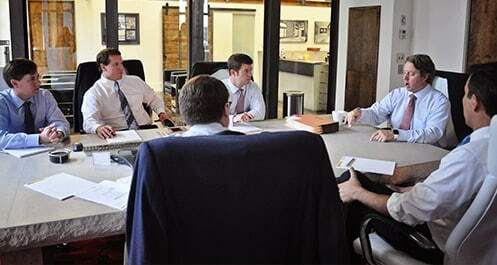 The founders and lawyers at Hollis, Wright, Clay & Vail, P.C. have handled and/or participated in cases rendering verdicts, judgments or settlements in an amount totaling more than $1 billion. Although such previous recoveries are not an indication or guarantee of future results, the attorneys at Hollis Wright are proud of their history of verdicts, judgments and settlements on behalf of injured clients and small businesses. Our attorneys are some of the most accomplished trial attorneys in the State of Alabama and have secured some of the largest verdicts and settlements throughout various circuit and federal courts. Multiple attorneys are eligible members of the Million Dollar Advocates Forum which is comprised of only attorneys that have obtained seven-figure verdicts. Founding member, Andrew Hollis, was responsible for securing one of the largest fraud verdicts ever obtained in the State of Alabama on behalf of a single Plaintiff ($81,500,000). On a national level, the Hollis Wright attorneys have been involved in significant, complex “mass tort” settlements involving defective pharmaceutical drugs, medical devices and implants. The attorneys at Hollis Wright have been appointed by multi-district litigation courts (MDL) throughout the United States to serve in various committee leadership positions. These committees are often referred to as the Plaintiff’s Steering Committee (PSC) and are comprised of attorneys that have demonstrated the ability, experience, aptitude and possess the resources to perform various common benefit activities on behalf of all victims making a claim. For a list of mass tort cases settled on behalf of our clients click here.